We hear and read about it everyday about our changing world and how this impacts on our planet. Climate change, pollution, animal extinction, amongst many other issues threaten our planet every second of every day. But what can you and I do about it? What difference can one person make on the very grand scheme of things? In fact, by making just a few simple changes to our lives, can make a huge impact on the environment that we live that can be carried on for generations to come. There is a deluge of information in books, publications and on the internet on how we can live more greener lives and save money. 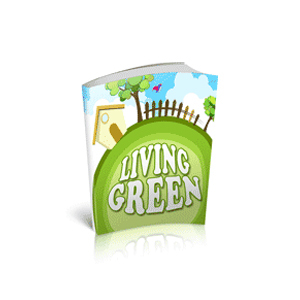 This booklet aims to bring together some of the more useful ideas, that can be used around the home, at the shops, in the garden, at work in the office, travelling and in other areas of your life.